Local governments play an important role in the protection of the environment and the fight against climate change: more and more of them are developing innovative solutions to manage water supplies, reduce energy consumption, optimize transportation and examine land use policies. By enhancing local authorities' capacity to shape integrated energy and climate strategies, EMPOWERING will facilitate the adoption of GHG emission reduction, renewable energy and energy efficiency measures in the context of the Covenant 2030 targets. 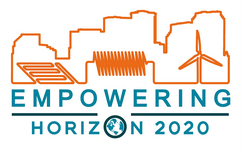 The EMPOWERING project addresses in particular energy saving challenges involving local municipalities and regional authorities in a sound transnational exchange and learning activities including seminars, peer to peer exchange for regional authorities and study visits. In addition, municipalities and regional authorities’ representatives will be involved to promote the exchange of experiences and facilitate the adoption of innovative financial tools and practices on energy policies. Thanks to the improved knowledge and competencies of local authorities gained through EMPOWERING, local authorities will be able to develop Sustainable Energy and Climate Action Plans (SECAPs) in the 2030 Covenant framework, and also upgrade their existing 2020 plans to the new targets. Through their involvement in the project, regional authorities can better shape their regional energy vision to 2050, highlighting the main energy challenges ahead and identifying possible financial strategic actions to address them. On March 13, the EMPOWERING project and the Covenant of Mayors Office are organising a webinar on funding for SECAP development and implementation. Learn more and register!